Learn about pollinators and help Heather the Honeybee save them! 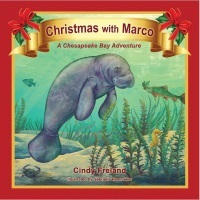 Ashley and Sean lived on a small farm in Cambridge, Maryland. They enjoyed planting crops and selling them at the corner stand. Even though they enjoyed helping on the farm, their favorite place was the butterfly garden at Blackwater National Wildlife Refuge. 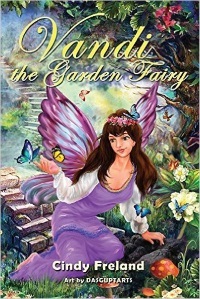 One day they went to the garden but, to their surprise, it wasn’t like any other day, as they encountered the enchanted Heather the Honey Bee and Beverly the Butterfly. 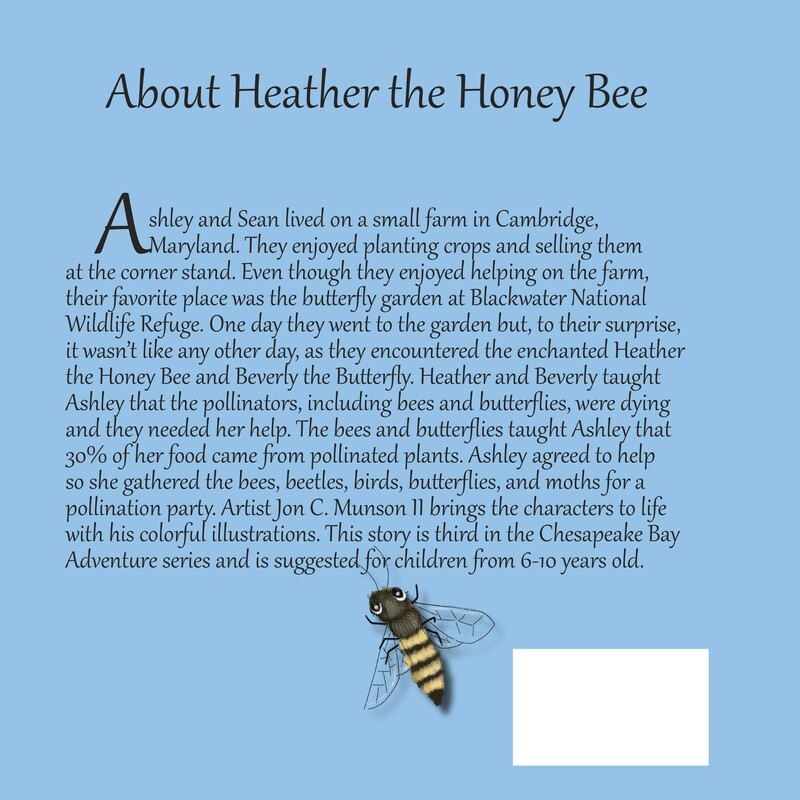 Heather and Beverly taught Ashley that the pollinators, including bees and butterflies, were dying and they needed her help. The bees and butterflies taught Ashley that 30% of her food came from pollinated plants. Ashley agreed to help so she gathered the bees, beetles, birds, butterflies, and moths for a pollination party. Artist Jon C. Munson II brings the characters to life with his colorful illustrations. 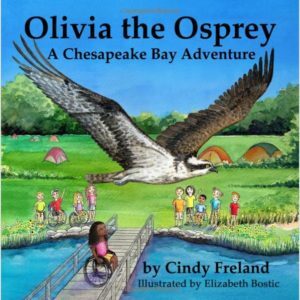 This story is third in the Chesapeake Bay Adventure series and is suggested for children from 6-10 years old. 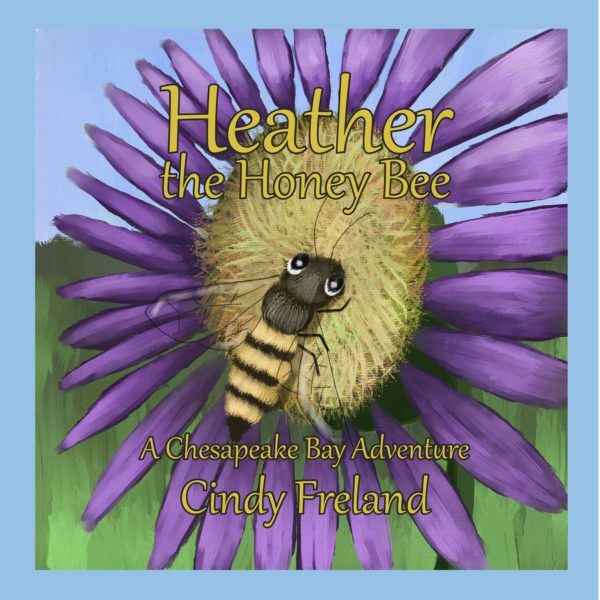 The book includes facts about the Chesapeake Bay and honey bees. 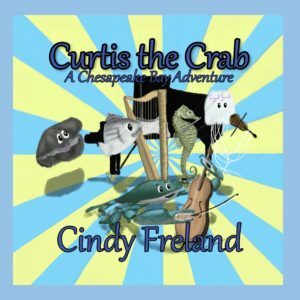 Written by Cindy Freland, illustrated by Jon C. Munson II.